Spruce up your home with colorful and sustainable Fab Habitat rugs. Offering many styles, colors and materials, our beautifully handcrafted rugs are perfect for any living space – indoor or outdoor. All rugs for sale are made using eco-friendly practices and organic dyes. Add a sense of warmth and comfort to your indoor space with our easy to take care of, indoor flat weave cotton, fine quality wool-blend and sustainable jute rugs. Or make a statement with our indoor outdoor rug collections. 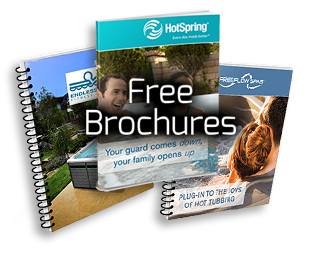 Trust us, there is something for everyone and every season! The hardest part of decorating a room is finding the perfect accents to tie everything together. Fab Habitat offers fun and functional home decor accessories that will really make your room pop. Brighten your interior and exterior with our collection of eco-friendly home decor accessories, including handwoven poufs, pillows and metal wall art. 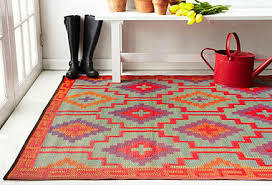 Stand out with contrasting colors and designs or pair our home decor accessories with Fab Habitat rugs of the same color and design. 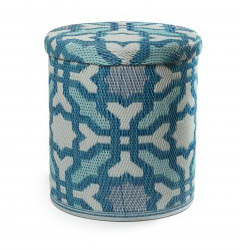 All Fab Habitat items are made using sustainable practices. Fab Habitat’s elegant and colorful cotton throws offer dual functionality. Use our generously sized throw blankets to wrap yourself up and keep warm during the cooler months or add a soft touch to your bedroom or living room. Our premium quality, luxuriously plush throw blankets come in rich colors and fabulous designs to add comfort and flair to any room. And best of all, our throws are reversible – just flip your blanket over for a quick and easy style refresh. 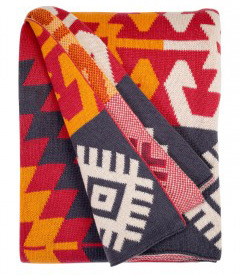 Feel and share the warmth and cuddles with Fab Habitat’s throw blankets. 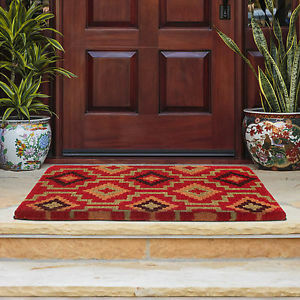 Make your guests feel welcome before they even step inside your home with Fab Habitat’s eco-friendly outdoor door mats. Our natural handwoven and biodegradable welcome mats are made of 100% hard wearing coir and come in a variety of styles. Fab’s durable door mats, suitable for indoor and covered outdoor use, are easy to clean and slip resistant. If you want to add more personality to your doorstep, look no further! Browse our selection of outdoor door mats ranging from adorable puppies to colorful abstract designs. Say hello with style! Personalize your walls with unique, sustainable metal wall art. There is nothing like a charming piece of art to tie your home decor together for a cohesive look. Whether you are looking to accentuate a master suite or an entryway, Fab Habitat has contemporary wall art to appeal to your personal style. Our pieces are made from light metal alloy material that is structurally strong and durable. 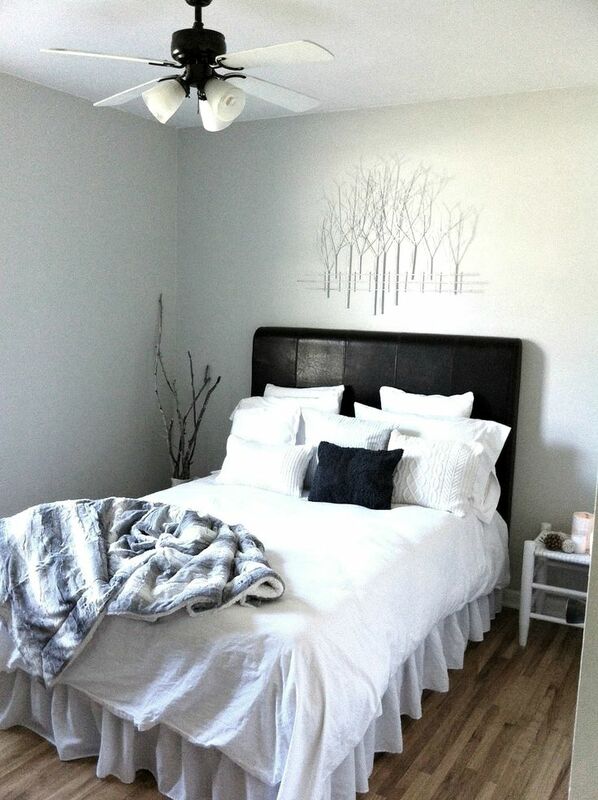 Place these pieces on a wall that receives light for an extra special design. The reflection creates a complex shadow on the wall truly enhancing the beauty of the artwork. Pull up a seat with our versatile indoor outdoor poufs! At Fab Habitat, we believe that home decor should be about more than just aesthetics; therefore, we offer eco-friendly products that are multifunctional. Our colorful poufs not only complement your design theme, but also function as a sturdy tabletop, seating and storage. 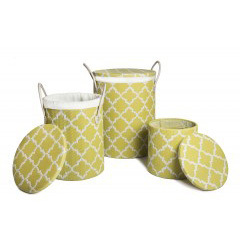 These lightweight indoor outdoor poufs come in vibrant colors and various designs, such as classic chevron and other timeless geometric patterns, and are helpful while entertaining guests indoors or outdoors. Outdoor poufs are specially made to be weather and mildew resistant so feel free to place on your lawn or patio.